Not everybody has the luxury (or garage space) to justify a dedicated ‘fun’ car. Luckily, there are plenty of vehicles out there that cater to someone who needs one car to pull double duty. Here’s a look at ten vehicles that will excite while still being practical enough for day to day use. Each of the cars in this list have seating for at least four passengers, rear doors, and a factor that makes it exciting. 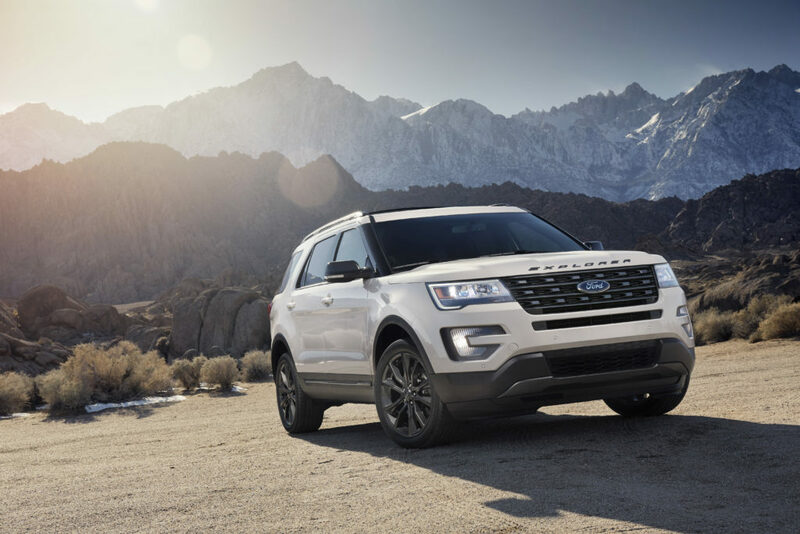 The Sport is more than just an upgrade to the styling of the Explorer. It upgrades the engine to a 3.5 liter twin turbo v6 that makes 365 horsepower and can hit 60 mph in six seconds. It also receives suspension tuning, all-wheel drive, and 20 inch wheels. All this while retaining the ability to seat seven people. I don’t think you’ll have a problem getting to school on time any more. Where the Explorer Sport uses brute force to be fun, the Mazda 5 uses finesse. This “micro van” seats only six instead of the mini-van standard of seven passengers. However, with that reduction in size comes an increase in maneuverability. The Mazda 5 sits low to the ground and is small, nimble, and corners as flat and confident as a sport sedan would. It also gets up to 28 mpg. Did I mention this van comes standard with a manual transmission (and smiles are free)? 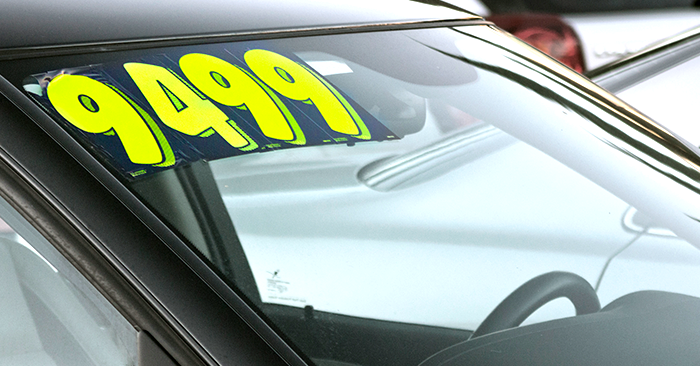 If “light” and “finesse” are not words you would use to describe your ideal vehicle, fear not! The Trailhawk trim of the Jeep Cherokee takes things in a different direction. 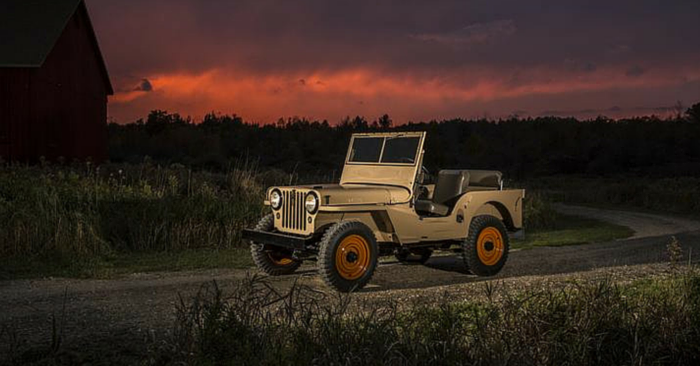 This jeep can handle most off road duties with ease (even climbing rocks!) 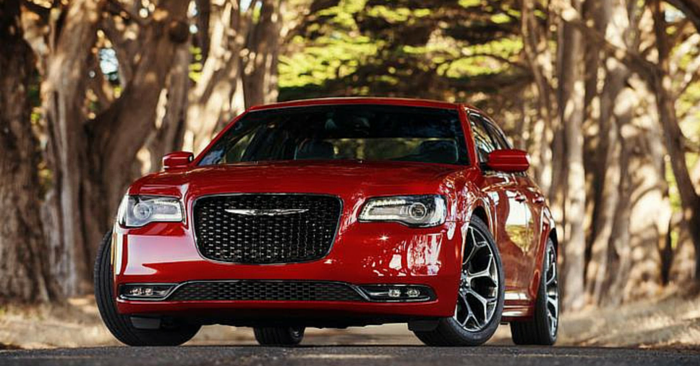 yet maintains its smooth composure on the road. The optional v6 is the choice to make if you like the ability to get out of your own way. 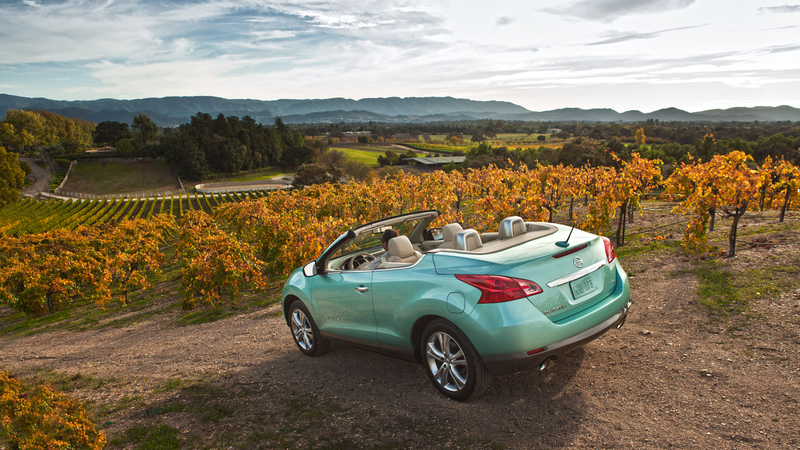 The Murano CrossCabriolet is the definition of having your cake and eating it too. It offers the practicality of an SUV: ride height, all-wheel drive, v6. Did I mention it is a convertible? The CrossCabriolet is a rare breed in the market today, but it manages to bridge the gap between long walks on the beach and binge-watching Netflix. One look at the Nissan JUKE and you’ll know it was designed for an eccentric person. The styling is straight out of a science fiction comic. However, the JUKE does cater to many palates. You can option a six-speed manual transmission or all-wheel drive (albeit not both together) along with a 215 horsepower turbo four that moves this micro crossover to 60 in under seven seconds. It also has red mirrors, which screams “sassy”. 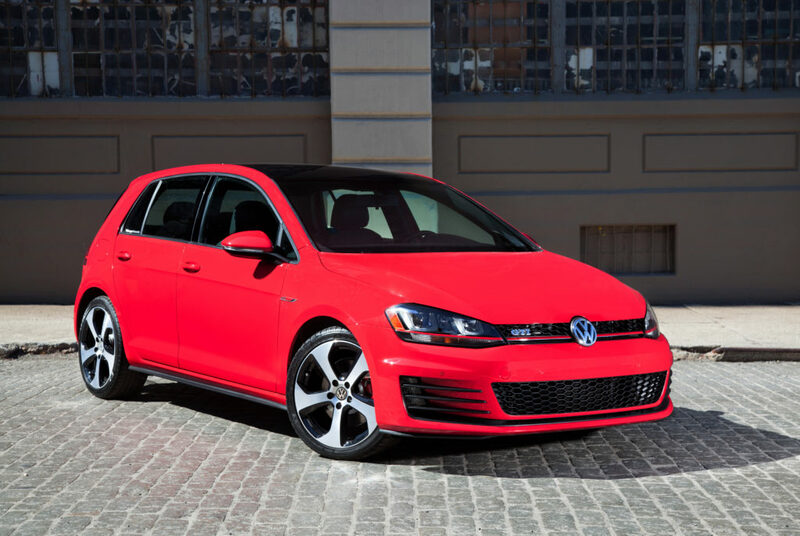 The GTI is the opposite of the JUKE. Posh. Proper. Plaid? Where the JUKE was screaming “look at me”, the GTI has a more subtle exterior styling. Aside from the interior, most people won’t look twice. Under the hood is all business too, with a turbo four cylinder and choice of manual or dual-clutch automatic transmission, both of which are fantastic. It’s also been praised endlessly by automotive journalists as one of the best hot hatches available under 30 grand (I tend to agree). Buick on a list of fun cars? Yes! Yes? The GS is Buick’s attempt at reeling in younger buyers. You can tell at first glance by the numerous vents, large wheels, and massive exhaust finishers. 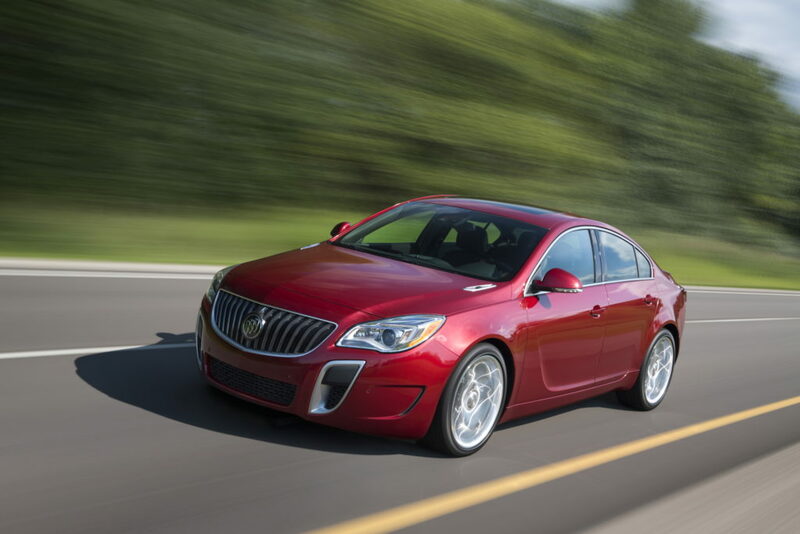 This Regal offers the normal luxury sedan amenities plus available all-wheel drive and a turbo engine with over 250 horsepower. There is even a special GS drive mode which increases throttle response and stiffens the suspension when you decide leave grandma at home. Do you have a hard time making decisions? The Veloster might be right up your alley! It’s a coupe, but also has a door for rear passengers. It has a hatchback, but it’s low slung and aggressive. It’s quick, but gets great gas mileage. It seems the designers took a box of suggestions and decided to use all of them. 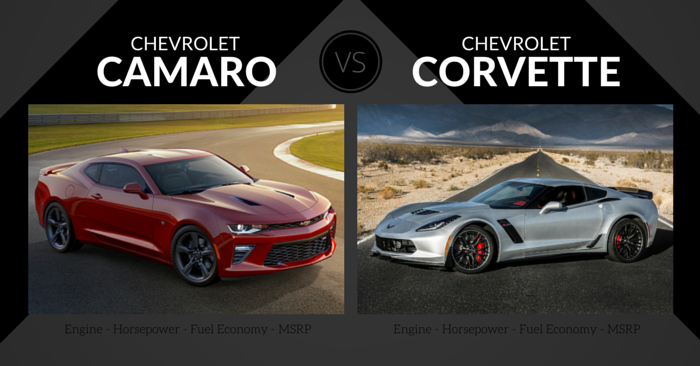 The car’s styling is polarizing, but there’s no question that it is interesting. It’s not the best at anything, but it seems to try to do everything. If you feel the need to stand out, maybe this is your choice. Are you a fan of go-karting? If so, the MINI brand is for you. The Countryman S retains that fun feeling while adding a second set of doors and extra room for rear passengers. It is available with all-wheel drive, choice of manual or automatic transmissions, and the turbo engine provides enough power to keep a smile on your face. Even though this MINI doesn’t quite live up to it’s namesake, it still ticks a lot of fun and practical checkboxes. I’ve never seen anybody frowning in a MINI. Just sayin’. It’d almost be heresy to mention fun and practical in the same sentence without Subaru in the mix. They’ve built their reputation on having one of the best rally cars and all-wheel drive systems available. 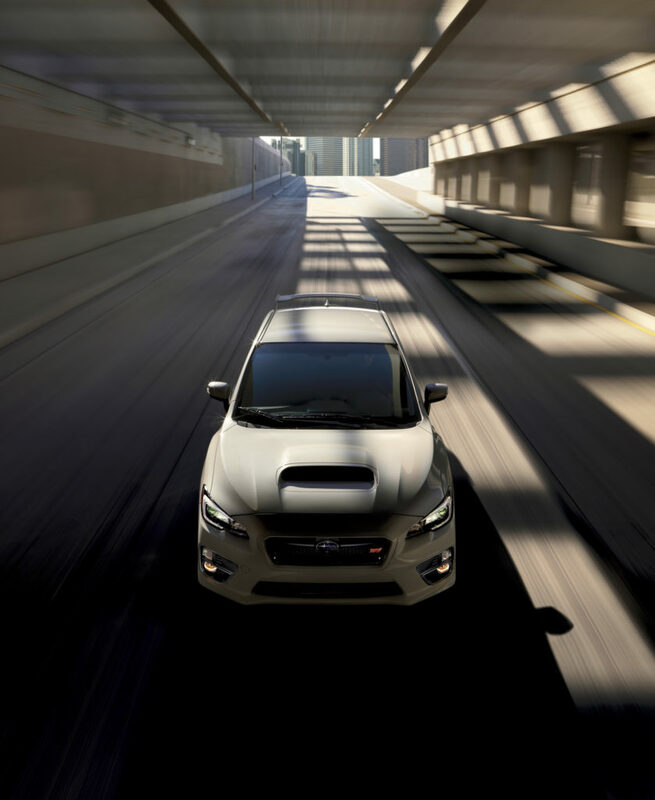 The WRX is no exception and can handle most terrain with ease. It can fly (almost) to 60 miles per hour in 4.8 seconds. All of this while having four doors and the ability to take you and four of your friends up a snowy mountain path (sideways if you prefer). Just make sure you opt for the manual transmission since the automatic is a soulless CVT. This list should have shaken up any preconceived notions that each vehicle is predestined to only fit into one role. 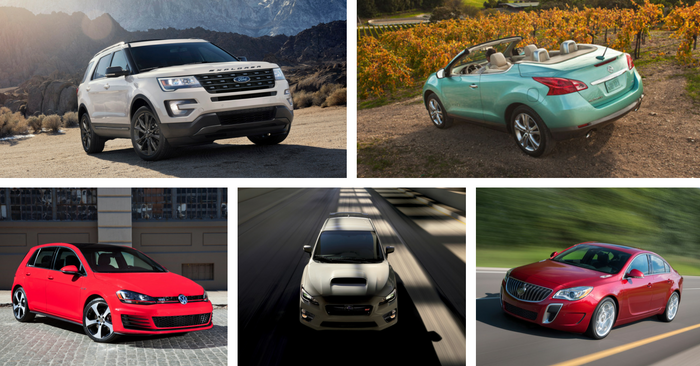 These cars may not be the best at anything, but they can do multiple things well. 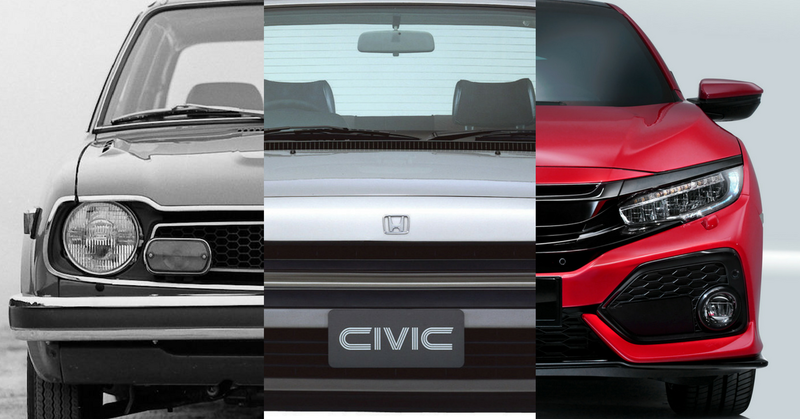 If you’re like me and didn’t want to give up your automotive adventures, one of these choices should have caught your attention. Once you start having kids (or start driving for Uber), it gets harder to justify having a Miata as your one and only. Whether you’re looking for a rock climber, a go kart, or a tire roasting kid hauler, consider starting your search at Carsforsale.com.